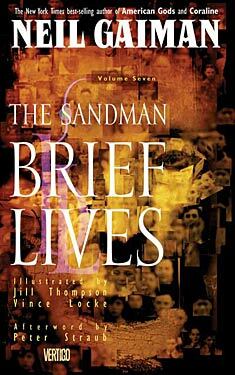 If you liked The Sandman: Brief Lives you might like these books. Delirium, youngest brother of the Endless, prevails upon her brother, Dream, to help her find their missing sibling. Their travels take them through the world of the waking until a final confrontation with the missing member of the Endless and the resolution of Dream's relationship with his son change the Endless forever.